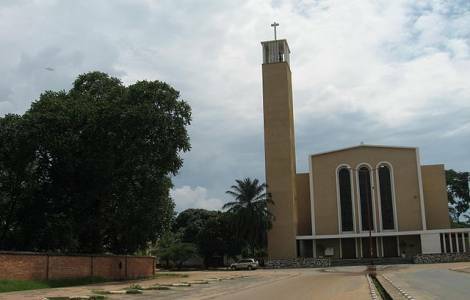 AFRICA/BURUNDI - The Bishops' appeal: "May 2019 be the year of peace and reconciliation"
Bujumbura (Agenzia Fides) - "May 2019 be a year of peace and reconciliation", is what the Bishops of Burundi hope for in their message to the faithful for the Christmas holidays and for the new year. The country is going through a difficult moment that has compromised the hopes born in the aftermath of the Arusha Agreement of 2000 that had put an end to the bloody civil war that broke out in 1993. "The application of various provisions of the Arusha Agreement, in particular those concerning the establishment and consolidation of a democratic regime, and the creation of the Truth and Reconciliation Commission, had raised many hopes in many hearts both among politicians and among ordinary citizens", recalls the message sent to Agenzia Fides. But the tensions following the third mandate obtained by President Pierre Nkurunziza in 2015 in violation of the Constitution and of the Arusha Agreement itself have made Burundi plunge back into violence and anguish. A sentiment very much felt by the Bishops who ask the faithful: "do you think there is enough trust among politicians to sit down together and discuss to find solutions to the problems that afflict the Country? But if this were not the case, this cannot reassure Burundians, especially those who in recent years have had to seek refuge abroad. And even within the Country, are there not those who live in fear and do not dare to say it because they are intimidated by some of their fellow citizens? Does the Truth and Reconciliation Commission remain faithful to its basic mission of reconciling all the Burundians? ".